Joseph E. Williams Sr. has been appointed principal at Wheatley High School. Williams currently serves as principal of Key Fine Arts Academy. Previously, he served as principal of Kelso School for Social Sciences and Matthew W. Dogan Elementary, as well as assistant principal at Vera Escamilla Intermediate in Aldine ISD. Williams began his career with HISD 22 years ago as a fifth-grade teacher at Atherton Elementary. He has worked as a fellow at Harvard University and partnered with the National Center for Urban School Transformation and Building Excellent Schools. 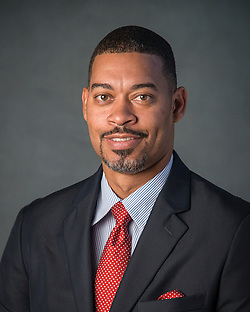 Williams earned a bachelor’s degree in history from Texas Southern University, a teaching certificate from University of St. Thomas, and a master of education in administration and supervision from University of Houston. This entry was posted in Staff updates and tagged wheatley hs on January 29, 2018 by HISD Communications. HISD Board of Education trustees received an update at the Oct. 12 board meeting on Achieve 180, a research-based action plan to support, strengthen, and empower underserved and underperforming schools across HISD. This entry was posted in Achieve 180, Board of Education and tagged Kashmere HS, wheatley hs, Woodson K-8 on October 13, 2017 by HISD Communications. HISD Superintendent Richard Carranza took to the streets of the Sunnyside community on Saturday, Aug. 19, for the first ever “Southside Takeover,” a back-to-school bash to kick-off the start of the 2017-2018 school year and the start of Achieve180. This entry was posted in Achieve 180, District II - Rhonda Skillern Jones, District III - Sergio Lira, District IV - Jolanda Jones, District IX - Wanda Adams, HISD: Our Story and tagged Kashmere HS, Madison HS, Milby HS, North Forest HS, Washington HS, wheatley hs, Worthing HS, Yates HS on August 22, 2017 by HISD Communications. 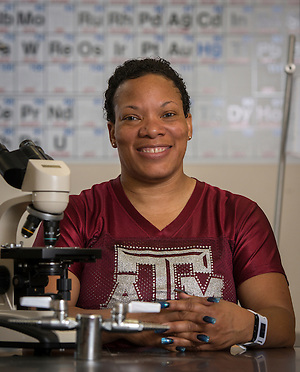 Ferleshare Starks, a biology teacher at HISD’s Wheatley High School, has been named a finalist for the 2015 Presidential Awards for Excellence in Mathematics and Science Teaching (PAEMST). Starks, who came to HISD from Fort Bend ISD last year, is one of only 10 educators from Texas to be so honored. She was nominated by Tia Watson, a first-year teacher she is mentoring. This entry was posted in Achievement/Recognition, District II - Rhonda Skillern Jones, High Schools, Science, STEM and tagged wheatley hs on August 14, 2015 by HISD Communications. Keisha Evans, a Wheatley High School teacher, was “Caught in the Act” of delivering great instruction during a sophomore geometry class toward the end of the 2014–2015 school year. An HISD video crew, along with Secondary Curriculum and Development Officer Annie Wolfe, surprised Evans and her students, and captured the video below. This entry was posted in District II - Rhonda Skillern Jones, High Schools, Teachers and tagged Caught in the Act, CIA, wheatley hs on August 12, 2015 by HISD Communications. Lofty goals can make a traveler of anyone. Forty Wheatley High School seniors journeyed to Washington, D.C. May 12-15, 2015, for a leadership conference hosted by Close Up, an organization that encourages students to become engaged with democracy. Students applied for the trip by writing essays about Rosa Parks. This entry was posted in College Readiness, District II - Rhonda Skillern Jones, High Schools and tagged Close Up, TTIPS, wheatley hs on May 22, 2015 by HISD Communications. Several HISD students achieved remarkable rankings at the Texas State Track and Field Meet held May 14-16. Top sprinter Julia Heyman (Lamar HS) placed first in both the 3200-meter run and the 1600-meter run. Takyera Roberson (Wheatley HS) also gave an impressive performance with a first-place finish in the 400-meter run, as well as third and fourth place in the 100-meter run and 200-meter run, respectively. Other high-ranking athletes include: Floyd Green (Wheatley HS) with second place in the 400-meter run; Isaac Brown (Washington HS) with third place in the 800-meter run; Tyreik Gray (Lamar HS) with fourth place in the 100-meter run; Holten Hill (Lamar HS) with fifth place in the 110-meter hurdles; and Mikaila Martin (Chavez HS) with sixth place in shot put. The Lamar HS boys track team also placed fourth in the 4×100 relay. This entry was posted in Achievement/Recognition, Athletics and tagged Lamar HS, Washington HS, wheatley hs on May 22, 2015 by HISD Communications. Rice University has chosen 21 HISD juniors and seniors to attend the 2015 Rice Summer Business Institute (RSBI). The program is designed to broaden the expectations of students from low and moderate income communities as to possible career paths and to develop business leaders for Houston’s future. Bryan Davila (Chávez HS); Melissa Guzman (Davis HS); Jacory Bellnamy, Lesbia Espinal, Heili Torres, and Elvis Velazquez (Madison HS); Ernesto Camarillo and Lorena Lara (Reagan HS); Abigail Gonzalez, Ruby Rapalo, and Rosa Tristan (Sam Houston MSTC); Giovanna De Leon, Torrance Hunter, and Estefani Reyes (Sharpstown HS); Dante Perez (Wheatley HS); and D’Arius Jackson, Tiarra Jarmon, Joshua Kirkendoll, Charmaine Nealey, Tanya Owens, and La Tresia Wilson (Yates HS) will gain firsthand experience of the fundamentals of finance and business June 13–27 on the Rice University campus. RSBI provides students with an insight into the world of business, economics, energy, and finance. Participants learn how the stock market works and how to manage a portfolio. They also learn about branding, inspiring others, making ethical business decisions, and how to start a business. This entry was posted in District I - Elizabeth Santos, District II - Rhonda Skillern Jones, District III - Sergio Lira, District IV - Jolanda Jones, District IX - Wanda Adams, District VI - Holly Maria Flynn Vilaseca, Volunteers and partnerships and tagged 2015 Rice Summer Business Institute, Chavez HS, Davis HS, Madison HS, Reagan HS, Sam Houston HS, Sharpstown HS, wheatley hs, Yates HS on April 16, 2015 by HISD Communications.